Years ago when we sang the Kyrie we cried out to God for his pity: “Help, save, pity, and defend us.” I don’t know why we changed “pity” to “comfort.” Did we feel it beneath our dignity to be pitied? Or that “pity” might offend modern sensibilities? I lost something in the translation. “Pity” is a good word. 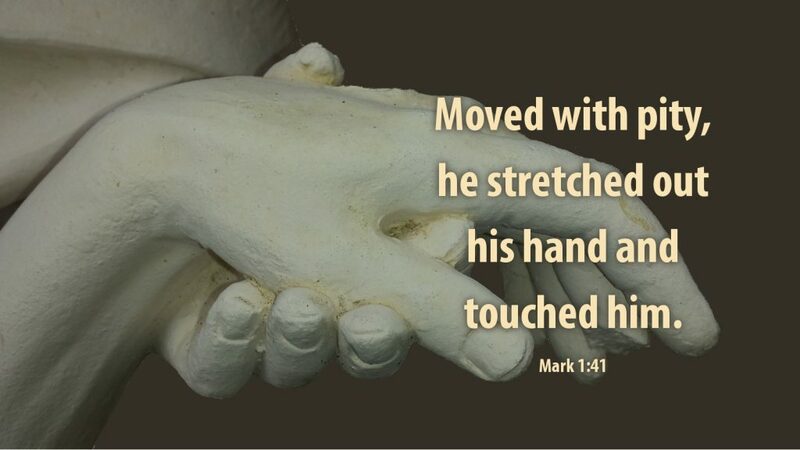 Before the face of God, I need a word which plummets to the helpless depth of my sin, asks God to be moved by nothing other than his own passion, and requires nothing of me but to hold my desperate condition before his eyes. “Comfort” can get me through the night. Comfort stabilizes and strengthens. But pity gazes on the eternal disaster I have made of myself, rolls up its sleeves, and does for me what I cannot do for myself. Pity takes responsibility for my plight and remakes me. Tell me God loves me, and I am quick to attribute at least a smidgeon of that love to my lovability, my worth. But God’s pity leaves no such illusions. Love can be reciprocated, is expected to be reciprocated. Pity reaches my empty hand. Prayer: Lord Jesus, pity me. Amen. Thank you Pastor Blobaum! These words spoke volumes to me.